When will be The Guns of Will Sonnett next episode air date? Is The Guns of Will Sonnett renewed or cancelled? Where to countdown The Guns of Will Sonnett air dates? Is The Guns of Will Sonnett worth watching? We search for a man named Jim Sonnett and the tales folks tell may be true; Most call him gunman and killer; He's the son I hardly knew. I raised Jim's boy from the cradle; 'till the day he said to me, "I have to go find my father". And I reckon that's the way it should be. So we ride, Jim's boy and me. 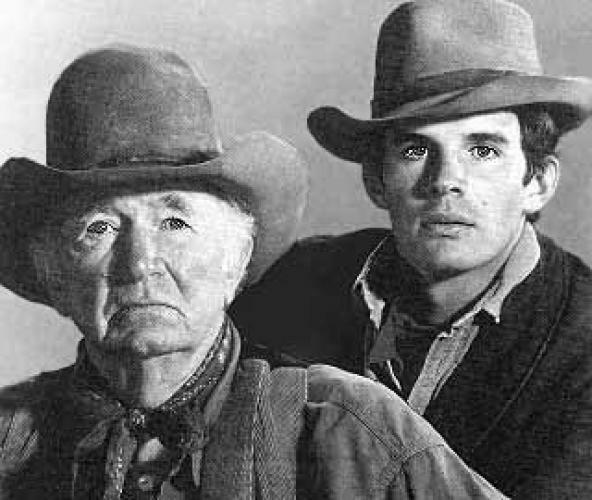 The Guns of Will Sonnett was notable for being one of super producer Aaron Spelling's first television series and series star Walter Brennan's (The Real McCoys) last. Despite a lot of promotion by ABC, the series never really caught on with the viewers. The Guns of Will Sonnett next episode air date provides TVMaze for you. EpisoDate.com is your TV show guide to Countdown The Guns of Will Sonnett Episode Air Dates and to stay in touch with The Guns of Will Sonnett next episode Air Date and your others favorite TV Shows. Add the shows you like to a "Watchlist" and let the site take it from there.